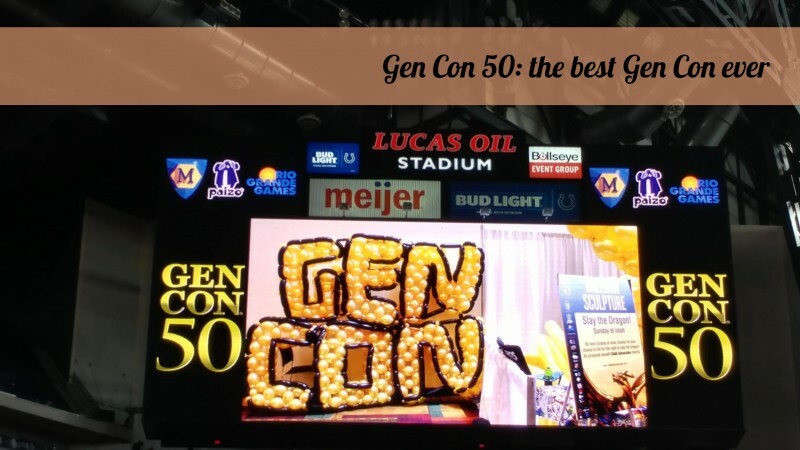 This is going to be the first of a bunch of posts about Gen Con 50, which has turned out to be the BEST Gen Con I’ve ever been to. 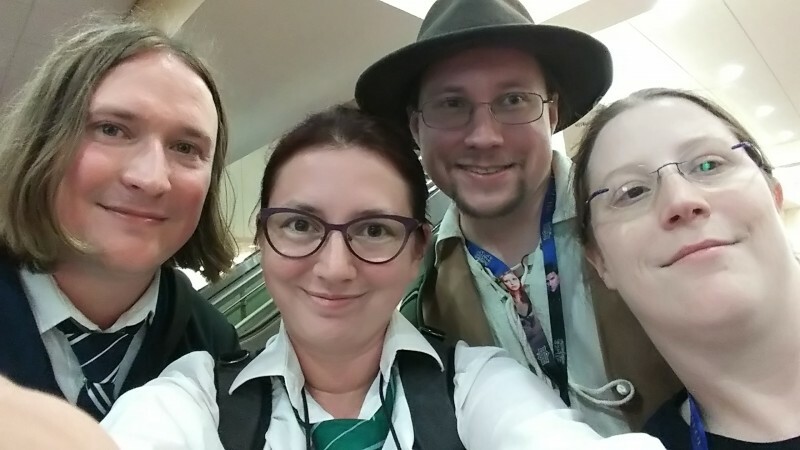 I’ve done so much and seen so many cool things over the past few days – and it’s not all going to fit into one post, so I’m going to do a handful of them – one on the overall experience, one on events, one on awesome experiences in the Dealers Hall, and one entirely devoted to cosplay! 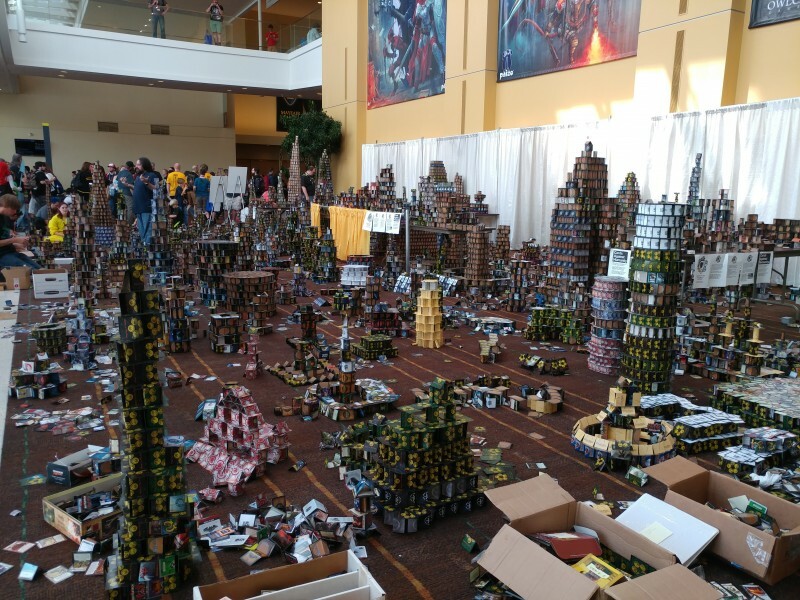 The first thing I noticed about Gen Con, mostly because it was the first place I went, was the fact that Will Call was EMPTY. I think this was honestly the busiest I saw Will Call during the entire convention. 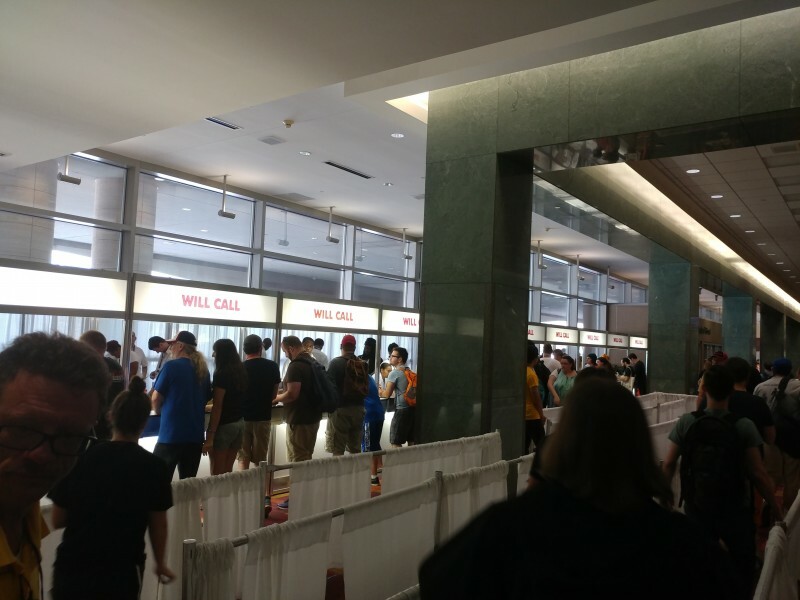 I’m guessing it was probably due to no on-site ticket sales because Gen Con was sold out for the first time in Gen Con history, but still, it was eerie to see Will Call so quiet! As always, though, everything went smoothly – I got my press badge quickly, got event tickets even more quickly, and enjoyed all my time at the convention. It was fantastic, I swear. 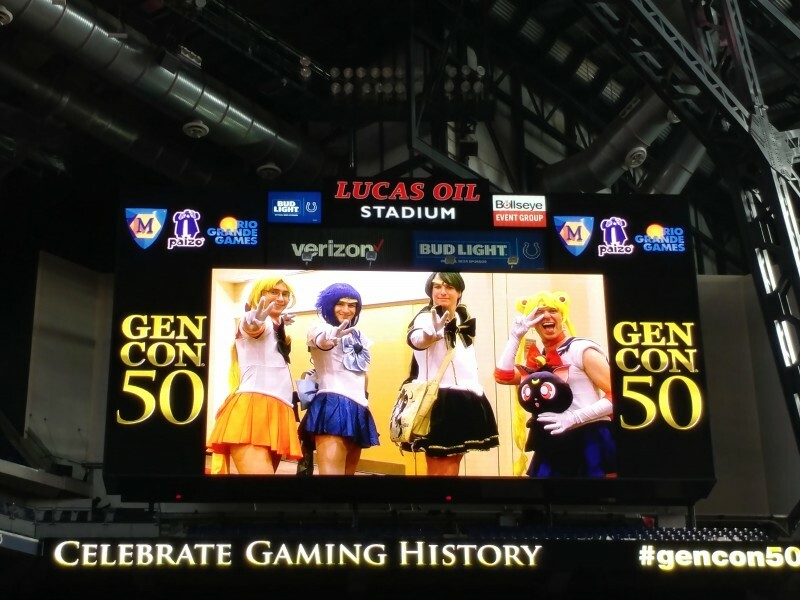 And what was really awesome was the fact that Gen Con took over Lucas Oil Stadium – the home of the Indianapolis Colts! I swear, seeing Gen Con stuff on the Jumbotron got me all super excited! I think spreading things out over three or four hotels, the Indy Convention Center, and Lucas Oil Stadium really helped spread out the crowds. My introvert self really appreciated it. The game lending library was right there on the field at Lucas Oil, as well as a mini museum documenting the history of Gen Con – which was fascinating. I went to awesome events, had lots of compliments on my costumes, saw SO MANY other awesome costumes, and got to spend lots of time with friends. 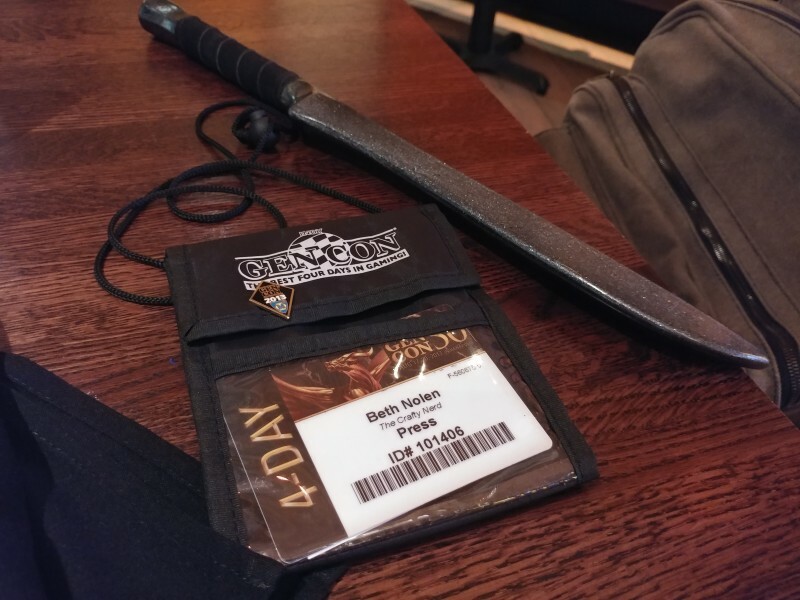 I also got to help set up a LARP, got to listen to one of my favorite authors ramble about things and read his two “children’s” books, and ate tasty food from all sorts of places – food trucks, restaurants, and more. 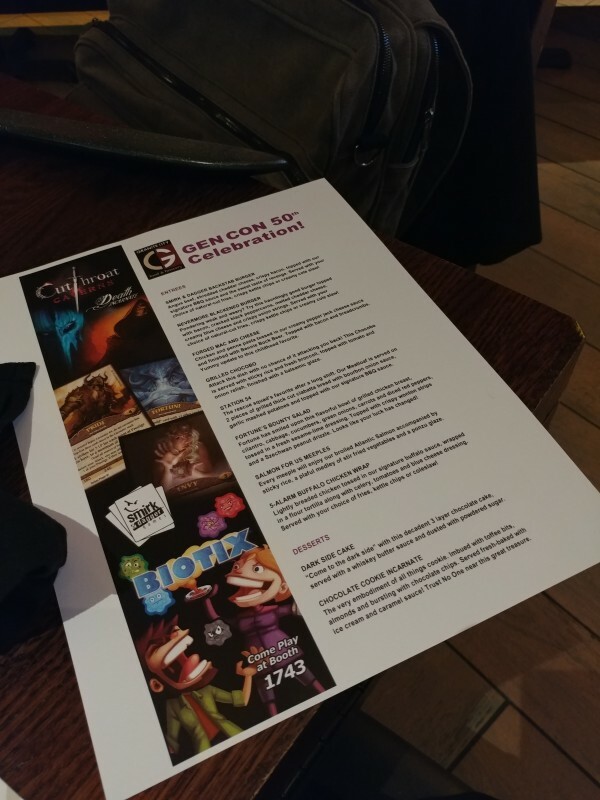 I always love seeing Granite City’s Gen Con menu.